In this Epic 2018 video we explain how Epic 2018 users are able to take advantage of the many print & output management features found in OM Plus Delivery Manager. 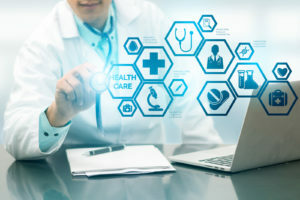 Healthcare organizations rely on Epic’s EHR solution to drive their operations, but Epic relies on Windows print spooling to get print jobs to printers. Windows spooling only provides basic print output management capabilities. In comparison, our OM Plus solution provides very robust management, delivery and support capabilities. Epic understands that customers still rely on print for their daily operations and it is important for jobs to print where, when and how they are supposed to, for patient care to be provided in a timely and effective manner. To satisfy the needs of users that want high availability printing with advance functionality, they created their new API print architecture for Epic 2018. It was designed to simply and cleanly hand off the print output management responsibility to a solution like OM Plus. Epic 2018 has made major changes to the print output architecture and Epic now requires an API to be used for third party OMS tools like OM Plus. In a new environment OM Plus does not reside on the EPS or Cache servers. OM Plus will receive jobs in either text, pdf, or XPS format through the Epic API. Additionally, OM Plus will transform those jobs into printer ready data streams then use intelligent routing logic to deliver jobs to the appropriate print device. With “Print Confirmation” turned on OM Plus will be able to determine if a print job successfully printed or not (in the output tray) and deliver the status back to Epic via the API so print status is available to the Epic user. Users will not need to define multiple print queues per device or install print drivers across the EPS server farm. They can simply define queues one time in OM Plus for all the EPS servers. OM Plus Delivery Manager ingests print jobs from Epic and many other sources and applications. It utilizes a rules-based engine to manage, monitor, and deliver jobs across complex networks to multiple destinations and types. It includes a centralized administrative platform for the management and support of the entire print environment. Implementing OM Plus Delivery Manager can help eliminate the need for multiple staff, different skill sets, the collection of data from multiple disparate systems and other inefficiencies involved in troubleshooting print issues. It also significantly reduces the time redundantly defining queues across multiple systems and managing their print workflows. When jobs reliably print where and when they are supposed to, clinicians can spend more time caring for patients. 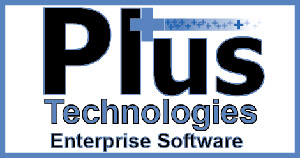 Plus Technologies has many customers who run Epic software and has been delivering print and output management solutions since 1994. OM Plus software currently manages over 100,000 healthcare printers. There is no need to redundantly define EPS queues or drivers. Simply define the queue once in the OM Plus interface and propagation takes place across the network automatically. Native PDF/XPS jobs print slow on printers. OM Plus Delivery Manager can transform them into a print ready format that significantly increases the speed of print. The API process enables confirmation of delivery to the output tray. The status feedback of print jobs is be reported back to Epic. OM Plus can manage, monitor and deliver with granular visibility all the way to the output tray. Includes a robust Help Desk toolset and a collection of print data to know the who, what, when and where of printing. One enterprise toolset manages queues and jobs for back-end printing, front-end printing, and other applications. Optional third party integrations with: Imprivata, PrinterLogic, Tricerat, and various printer manufacturers. For more information or to schedule a proof of concept, please feel free to contact us by going to our contact page at www.plustechnologies.com/contact or call us at 877-899-7587 or outside the US at 1-937-847-0614.